Monthly Winner from each month will be voted on again at the end of the year. I am sure you're already aware that Greenpoint Seeds holds a Monthly Photo Contest in our Forums. We have been doing so for the last year and we have had great results. We have some truly experienced growers sharing their prized Greenpoint Seeds strain photos all year round and then we vote for the best-submitted photos that month. The winner gets a crisp $100 bill, a free premium pack of seeds and a pack of Greenpoint rolling papers. For The Best Of 2018! You must follow ALL of these steps VERY carefully! Go HERE to the forum post where the contestants are listed with their assigned number/letter combination. Choose the one you want to vote for and take note of the assigned number/letter combination. Open a new email using the email account your GPS account is registered with (only registered GPS account holders that have accounts created before today may vote). In the "Subject" field, you will type your GPS account Display Name (find it HERE), then type a single space, then type a single dash, then type a single space, and then type the number/letter combination of the photo you want to place your vote for. If your email vote is not in the format above, it will be discarded and deleted. One vote per household (per shipping and/or billing address). If you have more than one registered account and they share a shipping address, you may only vote with one of your accounts. If you have more than one registered account and they share a billing address, you may only vote with one of the accounts. If you have more than one account that shares either a shipping or billing address with each other, you may only vote with one of your accounts. Only vote once. If you have a GPS account and your significant other (or anyone else sharing your shipping address and/or billing address) has a GPS account, only one of you may vote. We will not accept votes by any other means. Please do not send us messages with votes. Please do not attempt to vote in the forums. Your account must have been created before January 21st, 2019. Any accounts created on or after January 21st, 2019 are not eligible to vote. All votes will be double-checked against the customer database that we made a backup of today. Meaning that any new accounts or changes made to any accounts will not show when we are cross-checking the votes. Anyone that has changed any of their account information (shipping/billing addresses, display name, email address, etc) will not be eligible to vote. Do not send more than one email. If we get more than one email vote from the same email address, no matter what the reason is, it will be automatically discarded and deleted. If your account was not created before today, you are not eligible to vote. No exceptions. To be eligible to vote, your GPS account must have been made on or before Tuesday, January 22nd, 2019. 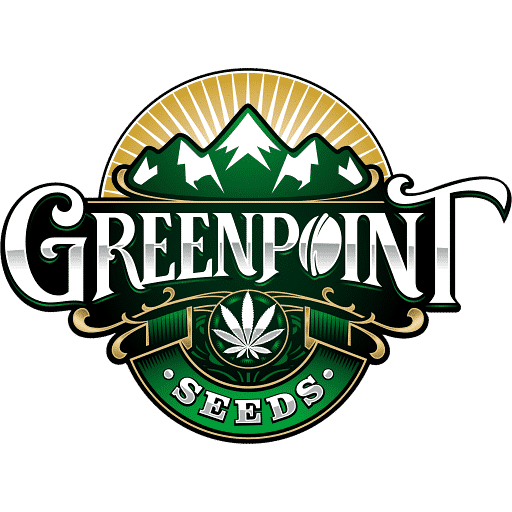 When we receive your email vote, it must be from the email address your Greenpoint Seeds account is registered to. No exceptions and/or redos. If you used a fake email address to register for your GPS account, you are not allowed to vote. If you don't have access to your email account anymore, you are not allowed to vote in this contest. If you used a throwaway email to register for your account with, you may not vote. To vote, check your email (emails will get sent our Saturday, January 26th, 2019 after 10am) and your Spam. If you did not get an email, then you cannot vote. All customers with GPS accounts that were created BEFORE today will get an email (no new accounts are eligible to vote). Please read ALL of the RULES in your email (very important).